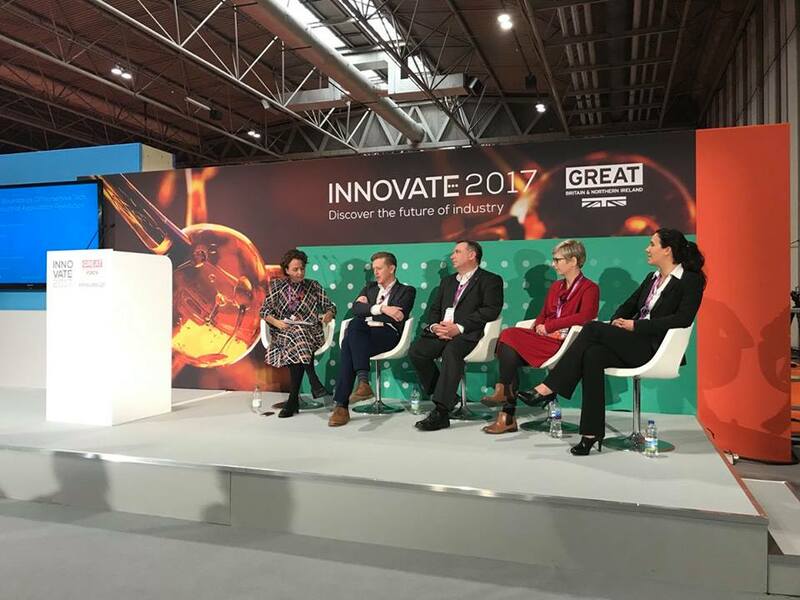 INNOVATE 2017 is a showcase of UK and global innovation presented by Innovate UK. Across two days the conference brings together the UK’s most innovative thinkers, creators, and inventors at the NEC in Birmingham. ImmerseUK gathered a high-profile panel of thought leaders representing innovation driven companies that use and develop Immersive Technologies. Alan Grant from Sublime, Dr Rab Scott, Head of Digital at AMRC, Ariane Remmert, Technologist in the Future Technologies Group at Rolls-Royce and Kite Rider's Managing Director Antonia Koop explored the power of immersive technologies - Virtual and Augmented Reality - for advanced visualization in architecture and construction, manufacturing, education and training. The discussion was moderated by Fiona Kilkelly from ImmerseUK. All panel members agreed that the opportunities for immersive technology applications in industry are endless. However, key to success is, that the application of the technology is led by purpose not by the technology as such. Companies interested in engaging with immersive technologies need to consider its value based on its impact and ability to further their goals and fulfill their purpose. This requires weighing the costs and the investment required to create immersive content against the benefits. The greatest benefits, the panel revealed, have so far been achieved when using VR and AR to reduce various kinds of risk. We are proud to see corncutter.games and Strategic Nudge amongst such great companies.